Oh, that God would show us the emptiness and vanity of this present world! We still have eternity to come face-to-face with God’s judgment—judgment that will bring into account every secret thing we have done. How can we be so deceived, so lost, and so focused on our short time here on earth? My desire is for us to live this life in a way that we invest in eternity. In Pursuit, author Ruth Conlon urges her readers to pursue a passionate and active relationship with God. The book will draw believers into a deeper, more intimate relationship with God. Ruth sheds biblical light on topics such as obedience, prayer, and legalism that will spur readers to run after God in a fervent and determined way. Pursuit will inspire readers to dig deep into God’s Word and fervently pursue Him in prayer and fasting. InPursuit students of the Bible will have the tools to develop the kind of relationship that will enable them to keep their lamps filled with oil so they will be ready when the Bridegroom comes again. Anyone who longs for a profound relationship with Jesus will be well equipped to do so after reading Pursuit. Invite Ruth to speak at your church or Christian event. 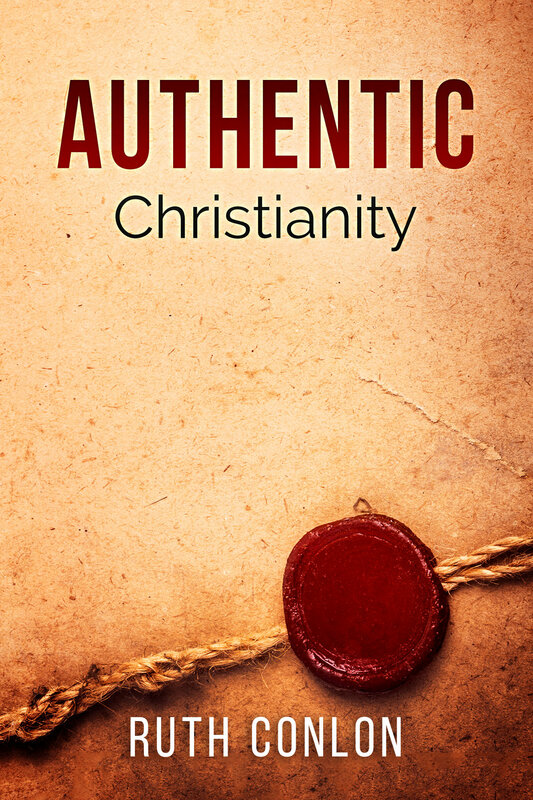 In Authentic author Ruth Conlon explores scriptures that highlight the true marks of authentic Christianity for those in pursuit of a genuine relationship with Christ, while shedding light on dangerous presumptions being made today. In an age where materialism and self-love have taken centre stage, Authentic will inspire you to ‘deny yourself, carry your cross and follow Jesus’. The book will test your current spiritual condition and challenge readers to grow into maturity and consider what is truly required by sons of God. 'Daily Pursuit' is a daily Devotional that gives you a full year of inspirational reflections and calls you to deeper intimacy with God. 'Daily Pursuit' helps you grow in your walk with God as you commune with the Holy Spirit. Are you hungry for more of God? Daily allow Him to fill every area of your life, as you journey through the year. Draw near to Jesus and be transformed by His Beauty.